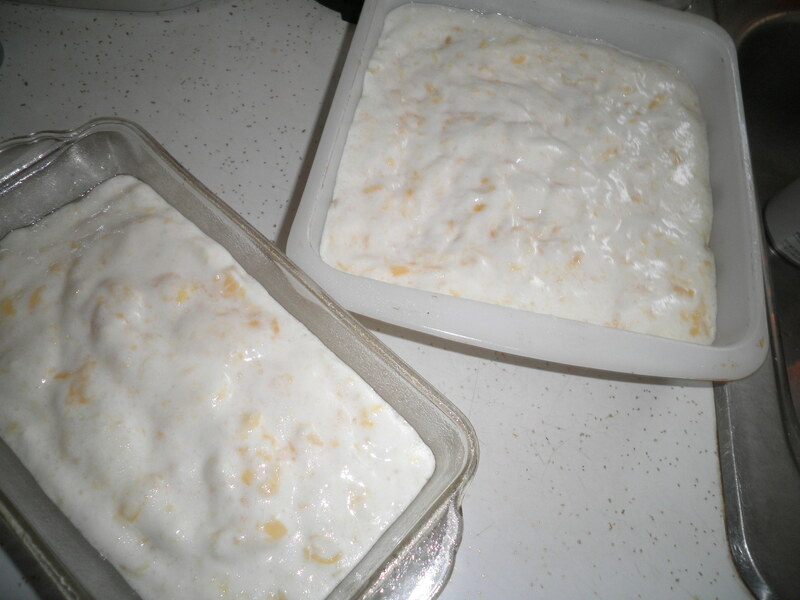 The Weight Watchers pineapple angel food cake. It’s so easy and so delicious. 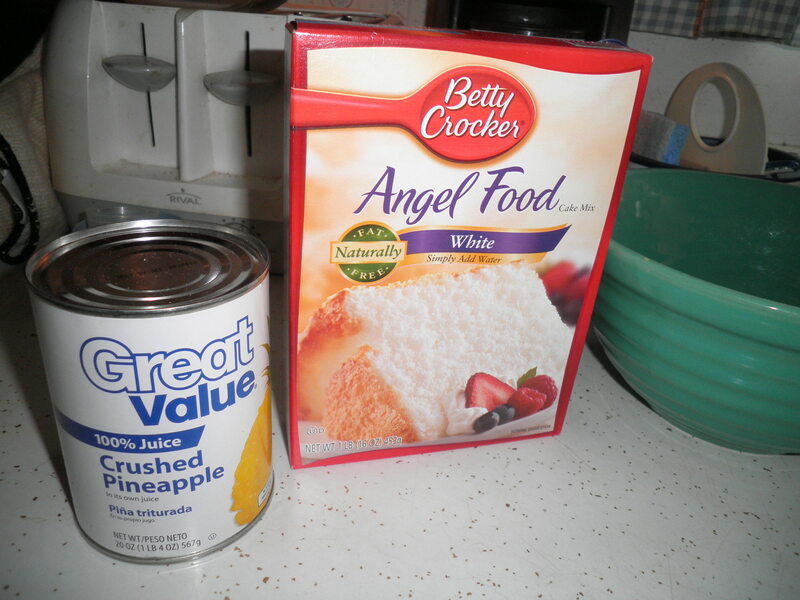 Mix the 20 ounce can of crushed pineapple with the juice with an angel food cake mix. 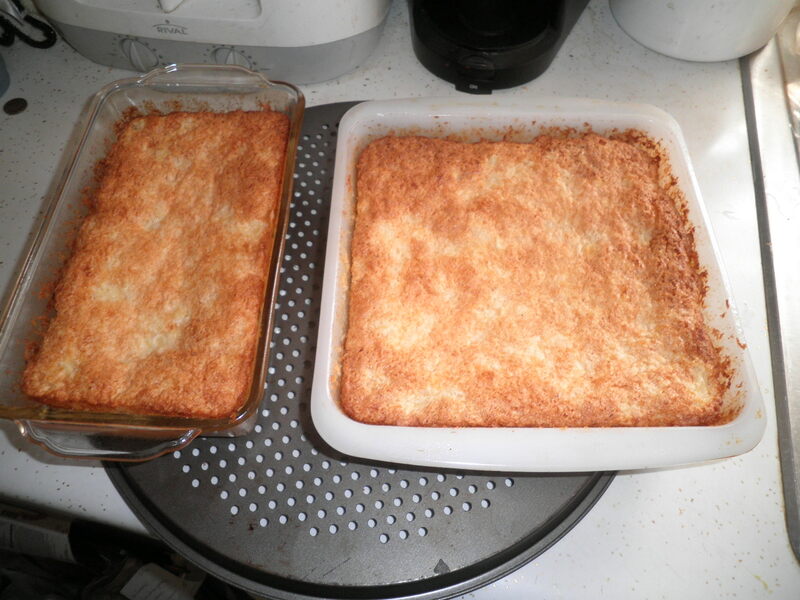 Cook according to the box directions…Voila!! 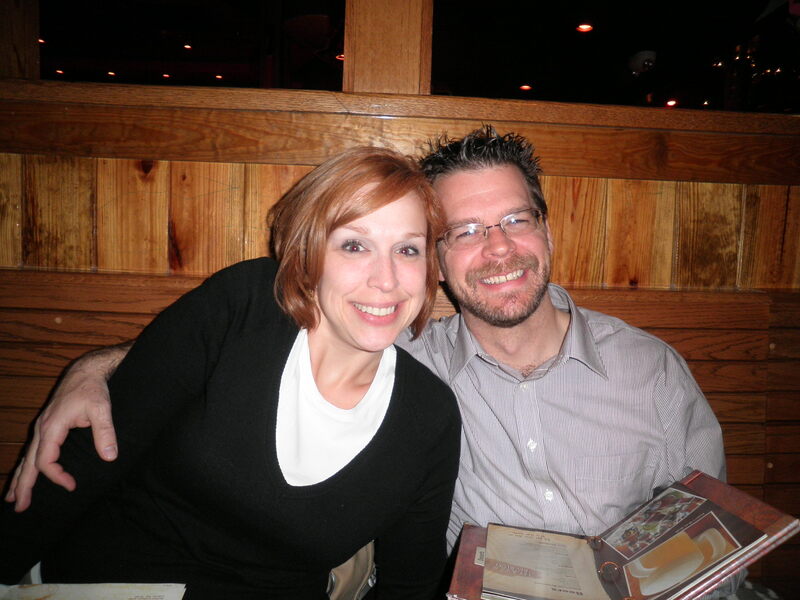 Heather and Brian are getting married today!!! It’s sunny and beautiful and I can’t wait! It’s at a restaurant that everyone keeps telling me about, Maggiano’s. I hear the food is outstanding and it will be worth the Points! I’m going to be careful because since I already have a hurdle to get back to where I was before weigh in today, I don’t want to increase the difficulty for myself. I’ll take lots of pictures and share them tomorrow. This entry was posted in Uncategorized and tagged baking, Weight Watchers. Bookmark the permalink. The wedding could not have been more fun and you did very well in not eating more than a decent portion. I ate things that I really shouldn’t have but my favorite children don’t get married every day.